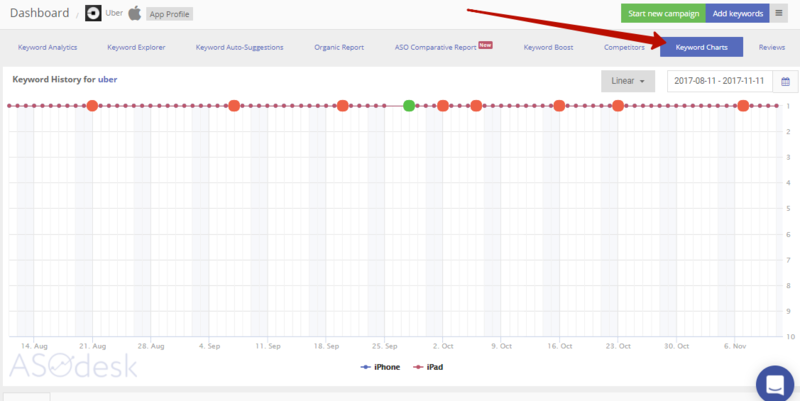 Copy all the keywords from your Keyword Analytics and put them in your other app or Keyword Analytics in other country. Also you can put the keywords to your Competitor's app. It's important. You will spy the data of Competitors. It will help you. 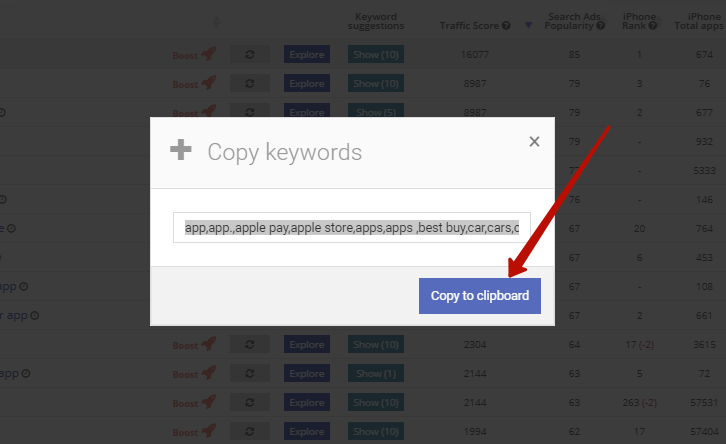 Then click "Copy to clipboard"
You have one place where you can copy keywords. It is the tab "Keyword Chart". And click on the tab "Copy Keywords"
To learn more about Keyword Charts.